There's not much else than can heighten my senses, melt away my worries and excel me into pure happiness like scuba diving. I feel so lucky to have found such a passion, and I intend to never stop admiring the wonders of the ocean and appreciating the way it makes me feel. So you have probably already seen a theme with my travels... the ocean. I have been lucky enough to dive some of the world's best dives sites and have enjoyed every moment of it so much I decided to start making scuba diving into a career, and worked on a live a board as a Divemaster. 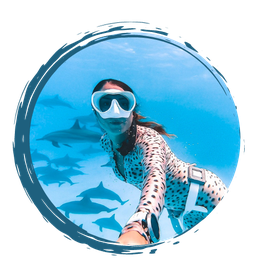 Hell, I love it so much I even started a girls only scuba diving community – Girls that Scuba – to connect women all over the world that love diving. Come join us! Below are some of the dives I have blogged about and the stories of how they went. Find out about the Budget Scuba Gear I use here..